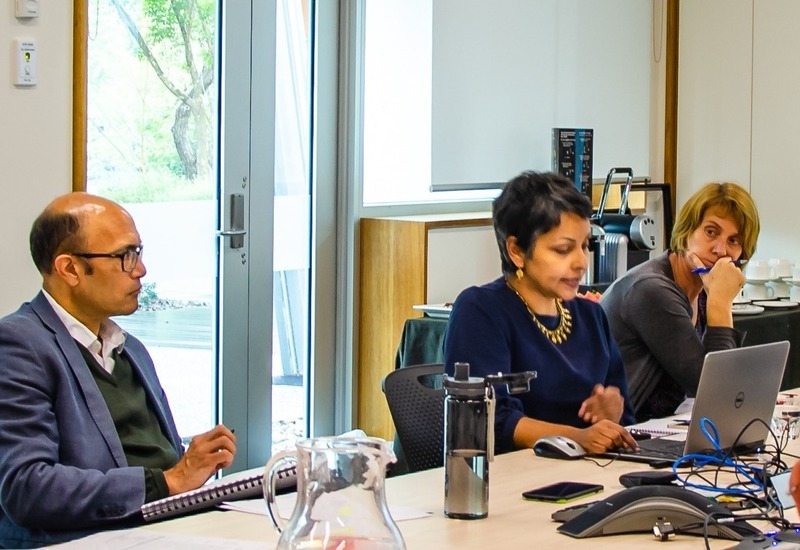 CSDA co-director Professor Rhema Vaithianathan had the opportunity to lead an Australian roundtable about the use of predictive analytics for positive impact in September. The roundtable, hosted by the Institute for Social Science Research (ISSR) at the University of Queensland was a facilitated discussion between Professor Vaithianathan, ISSR researchers and selected Australian state and federal government representatives about the potential for applying predictive analytics to the Australian social policy environment. Professor Vaithianathan shared case studies of recent CSDA projects where the Centre has developed and implemented data analytics solutions with agency partners and research collaborators. Roundtable participants were particularly interested in learning about the development and implementation of the Allegheny Family Screening Tool, a child welfare decision support tool that Vaithianathan and her research team built for Allegheny County, in Pennsylvania, US. The Australian event was an opportunity to bring together researchers who are looking for opportunities to use their work to make a positive difference, and agency leaders looking for solutions to big social problems like child maltreatment and homelessness. The visit to the ISSR also gave Professor Vaithianathan the chance to meet with ISSR’s executive team, learn more about the institute’s research programme, talk about how data analytics could help to augment the research that ISSR is already doing and discuss ways that the CSDA and ISSR could collaborate in the future. The University of Queensland established ISSR in 2007, to showcase its strengths in social science research. The institute is one of the largest social science research institutes in Australia, with more than 60 leading researchers, policy experts, and management professionals whose multidisciplinary approach delivers solutions with broad perspectives. The organisation is currently on nine research panels for federal and state government departments and agencies, has led some of Australia’s social policy and program evaluations and also works extensively with not-for-profit organisations and industry.